Hewlett Packard is one the best providers of company products for reasonable prices. Hewlett Packard is the premier worldwide technology solutions provider to businesses, consumers and institutions. Hewlett-Packard was one of the first companies to produce a laser printer for PCs and most software products that include drivers for HP printers. The drivers control the printers through a language called PCL (printer control language). Other makers of laser printers design their printers so that they, too, understand PCL, making them able to emulate HP printers. In this way, their printers are HP-compatible and are thus automatically supported by many software products. No non-HP printer, however, is 100 percent HP-compatible. HP is the provider of all types of printers such as color laser printers, laser Printers, inkjet printers, multifunction printers, plotters, Mac Printers, refurbished printers, portable printers, fax machines and copiers. HP also provides printers through which you can create photos. They are basic inkjet printers, photo printers, all-in-ones printer, portable photo printers and professional-quality printers. 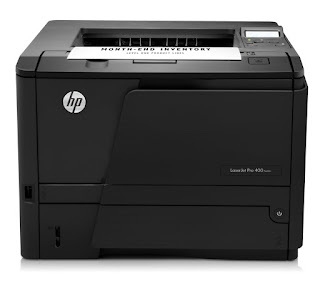 HP also provides repair services for laser printer, printer cartridges, refurbished printers and other parts. Laser Printer Repair 911 provides corporations, small businesses and individuals with certified on site, in home and carry in printer repair services and upgraded printer parts.